Home » Compare » Raw Meal vs. Vega One: How Do They Measure Up? 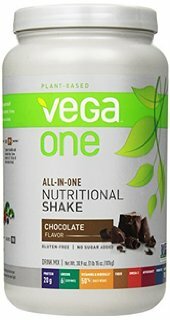 Raw Meal vs. Vega One: How Do They Measure Up? When choosing a plant based meal replacement or protein shake, not only do I take price per ounce, taste, and texture into consideration, I also like to carefully compare ingredients and nutritional value/benefits to assure that I am getting the most bang for my buck, nutritionally speaking. Some things that I like to look for on a list of ingredients are, first and foremost, a lack of added sugar and oils. Sugar, unless it is a natural sugar that comes from vegetables or fruits, is simply empty calories. You can dress up the name (unrefined cane sugar, cane sugar, cane syrup, etc. ), but it’s still sugar. Oil is also empty calories and a lot of unnecessary fat. We need fat in our diets, but I prefer to get mine from whole food sources like avocados, coconut, seeds and nuts, and occasionally coconut oil, and in limited amounts. You can most certainly have too much of a good thing, and good fats are no exception, especially when your goal is six pack abs. When I am looking at the list of ingredients on a vegan meal replacement supplement, I am also looking for a list that contains a whole food protein source (no “isolate”), as well as greens, probiotics, and at least 18 grams of protein per scoop. 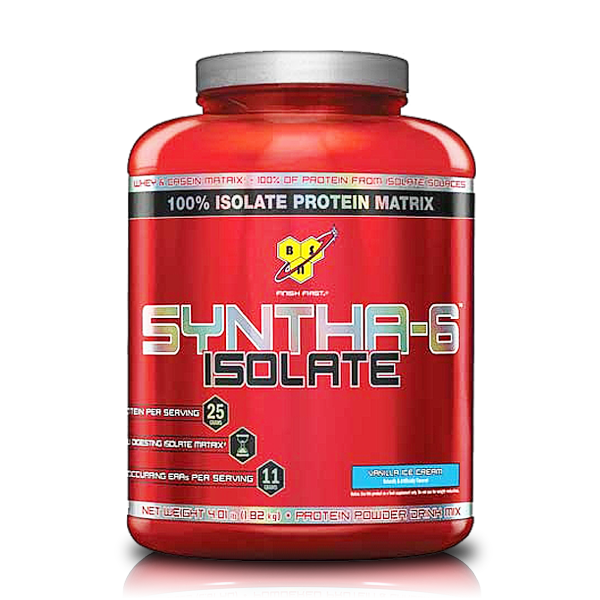 When a protein is isolated, that means, in layman’s terms, that it is heavily processed. Any food is better in its original form, and that is why I look for a whole protein source. The less processed foods you put into your body, the better your body will treat you. The reason I like to use vegan meal replacement powder containing greens and probiotics is simple. If I am looking to supplement my diet and have a shake as a substitute for a meal, I want to make sure that shake is as nutritionally rounded as possible. Yes, I can always add greens, fruit, and anything else that I desire to my shake. However, as I said earlier, I like to get the most bang for my buck, which is also why I like to make sure the powder has at least 18 grams of protein per scoop. The more of my Required Daily Allowance (RDA) of vitamins and minerals that a meal replacement shake can offer me, the better. A vegan meal replacement powder that contains greens and probiotics will have a lot of nutritional benefit, inclusive of vitamins, minerals, and probiotics that help keep the proper balance of good bacteria in my gut, assisting with gut health. Good gut health is essential to the health of your body. Proper flora in your digestive system helps your gastrointestinal system to function properly, which boosts your immune system, mood, memory, and more. Good bacteria in your digestive system can affect how your body absorbs vitamins and minerals, your overall digestion, the production of vitamins by your body, your immune response, and your body’s capability to eliminate toxins. In addition, your brain and mental health are closely linked with your hormones, and proper gut health assists with hormone regulation. This means that good gut health has a positive effect on your mood and mental health. Herein, I will compare Vega One made by Vega and Raw Meal made by Garden of Life (Raw Meal vs. Vega One) . While prices will fluctuate depending on where you make your purchase, sales, and potential shipping costs, so I chose to use the product websites for price comparison purposes on the chocolate flavor. You may, however, be able to find other discounted pricing on supplement websites. 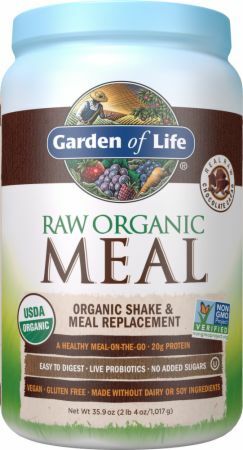 From my research, Chocolate Raw Organic Meal is less expensive per ounce. Raw Meal costs, on average, $1.38 per ounce, and Vega One costs about $2.27 per ounce. Taste and texture are purely subjective, but I prefer the taste of Raw Meal, but the texture of Vega One. 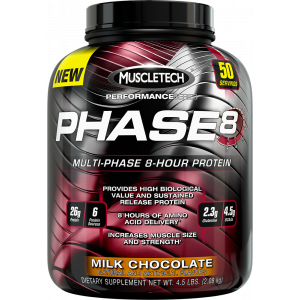 Personally, I find that chocolate flavored protein powders are more pleasant, but many people prefer vanilla. Both brands offer several flavor choices, including a “natural” flavor. The natural flavor of Vega gives you one more serving per jug because there is no added weight from flavorings in the product, so the serving size (scoop) is smaller, which gives you that extra serving. 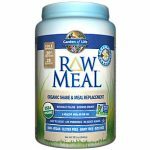 Raw Meal doesn’t have an extra serving, but the product weight is lower on the natural flavor, with the same amount of servings. You can then add your own flavoring in if you wish. 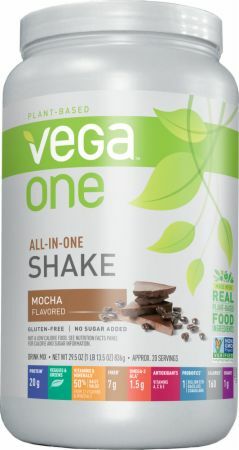 For the purposes of this comparison I used the chocolate flavor for both Vega One and Raw Meal. In my opinion, Vega One has a faint floral taste, and Raw Meal is more earthy. However, when it comes to texture, Vega One is a bit smoother, while Raw Meal can be too grainy for some. 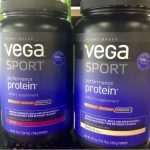 The reason for this difference in texture is that Vega One’s main source of protein is pea protein, which is much smoother than the various whole grains that Raw Meal utilizes for protein. Personally, I find that adding a banana to my shake smoothes out even the roughest protein powder, but if you cannot tolerate a grainy texture, you will prefer Vega One over Raw Meal. Both vegan meal replacement powders contain a high amount of vitamins and minerals, as well as probiotics and greens. 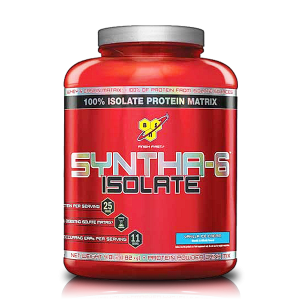 The following chart places these two protein powders head to head so you can compare which will meet your personal nutritional needs and goals. 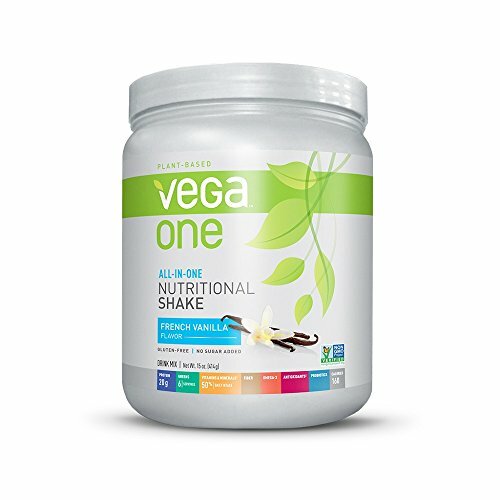 * Serving Size of Vega One is 1 (46g) scoop, Raw Meal notes that 1 (35g) scoop can be used simply as a protein shake, but a meal replacement serving size is 2 scoops (70g). 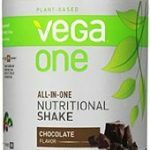 I utilized the two scoop serving for Raw Meal here, and doubled the serving size on Vega One for proper comparison as a vegan meal replacement supplement/shake. 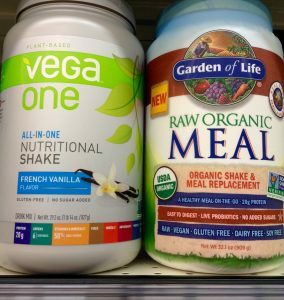 As you can see in the comparison, Vega One and Raw Organic Meal are both healthy vegan meal replacement supplements with nearly equal benefits. Vega One surpasses Raw Meal in some respects, while Raw Meal excels in others. 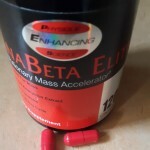 They are virtually equal when it comes to the majority of our necessary vitamins and minerals, while Vega One does contain some that Raw Meal does not, and Raw Meal contains a few minerals that Vega One lacks. When comparing probiotics/enzymes, Raw Meal has a significantly higher amount of probiotics and boasts two types, lactobacillus plantarum and lactobacillus bulgaricus [provides 1.5 billion and 3 billion cfu/serving) as well as an enzyme blend, while Vega One simply has one probiotic strain (bacillus coagulans [provides 1 billion cfu/serving]). Vega’s protein blend is made up of pea protein, hemp protein, and sacha inchi protein, while Raw Meal’s protein blend is a lengthier list containing brown rice protein, amaranth, buckwheat, millet, quinoa, lentil, chia seed, adzuki bean, flax seed, garbanzo bean, pumpkin seed, sesame seed, and sunflower seed. Both supplements contain sea vegetables, both have greens, and added fruits and vegetables. 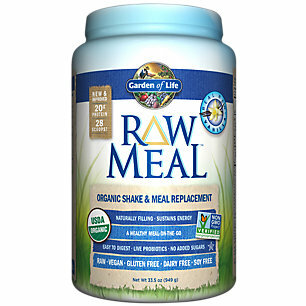 Raw Meal is a more well rounded meal, as it contains more whole food ingredients, though it does not match up as well compared to Vega One for some of your daily RDA’s of many of your micro and macronutrients. However, it should be note that you can get virtually all of your RDA of necessary nutrients in a Raw Organic Meal vegan meal replacement shake, while spending significantly less per ounce (and a much better taste, in my opinion). For these reasons, I call Raw Organic Meal the winner of this showdown. Are either okay to use during pregnancy? I used Garden of Life protein powder before pregnancy, and take their prenatal vitamins now.